What is your favorite way to enjoy ice cream? Are you a traditionalist? And simply enjoy your frozen treat in a cup or cone? Or do you like your ice cream in split, sundae, sandwich, milkshake, or float form? So far this week as part of Ice Cream Week, I have shared ice cream in a bowl, in a cone, in a float and now in a milkshake! 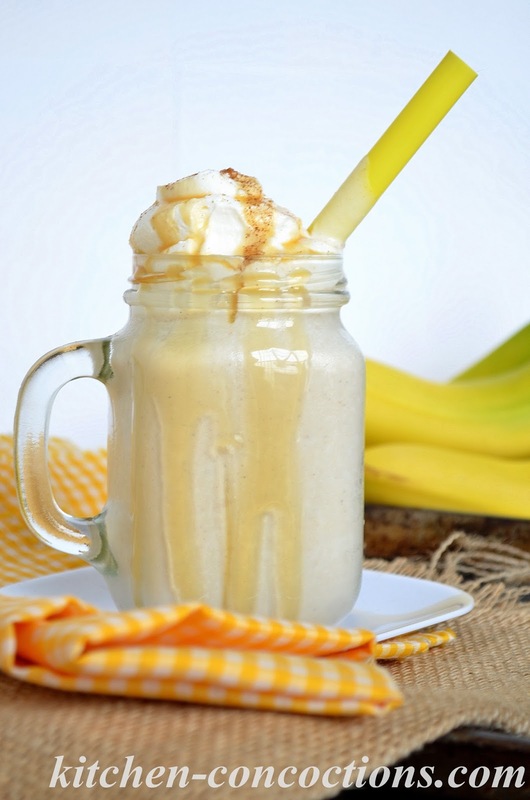 This ice cream recipe transforms a classic ice cream dessert, Bananas Foster, into milkshake form. 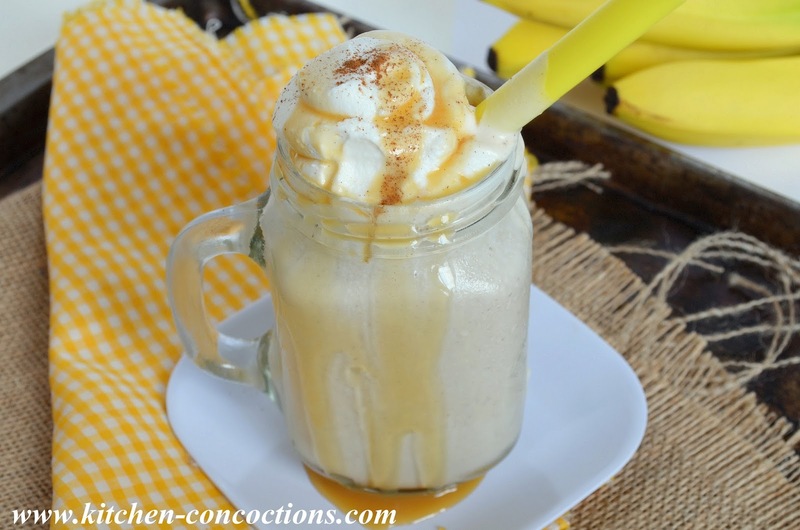 The sweet, caramelized bananas in a rich rum sauce with a hint of cinnamon. Your gonna want to make these not only to slurp up and cool off this summer, but because it will make your house smell amazing. Like the best smell ever (I totally wish I had a Bananas Foster Candle burning right now!)! Melt butter in a medium sized skillet over medium-high heat. Add sugar and stir until dissolved. Add in bananas and cook for 2 minutes. Stir rum into pan. Carefully tip the skillet slightly toward the open flame of the burner (or use a stick flame) to ignite the alcohol in the pan. Let mixture flame for 30 seconds or until flame burns out. Add cinnamon, stir and set aside to cool slightly. 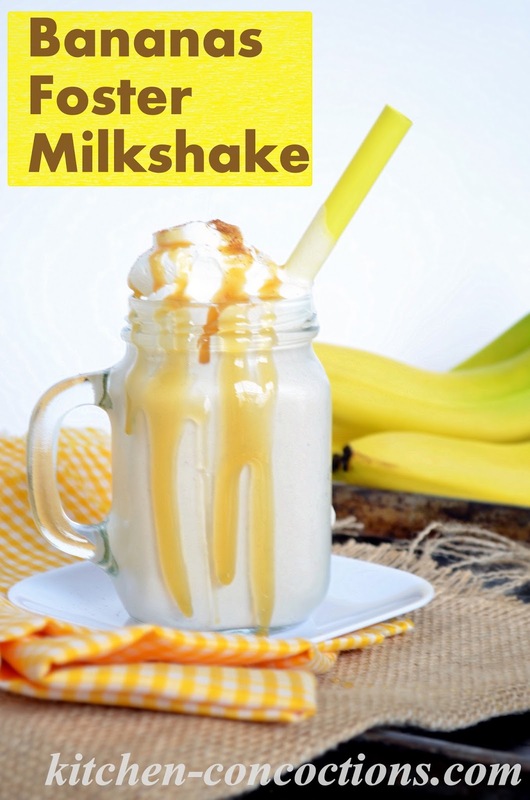 In a large blender, combine cooled bananas foster mixture, vanilla ice cream and milk. Blend just until combined. Add additional milk or ice cream to reach desired consistency. 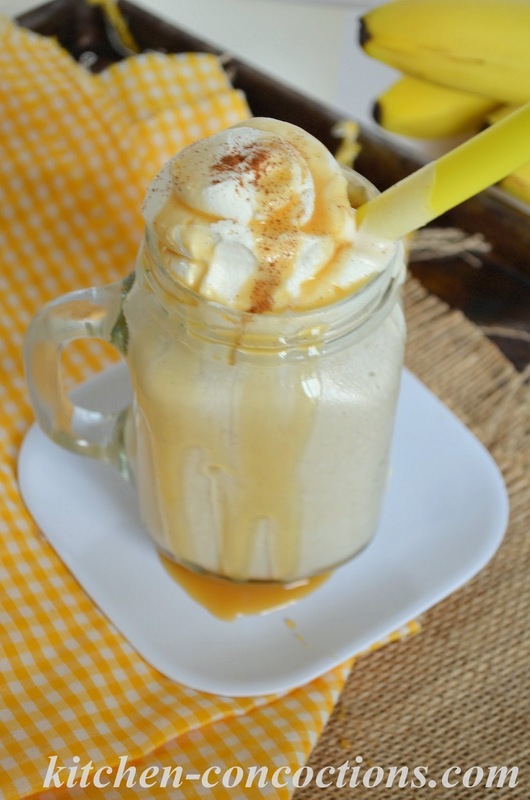 Serve as desired, topped with whipped cream, caramel or additional cinnamon. *Note: ¼ teaspoon rum or vanilla extract can be substituted. Simply stir into skillet when adding cinnamon (omitting ‘flaming’ step). Sweet Jesus! This looks and sounds delicious!